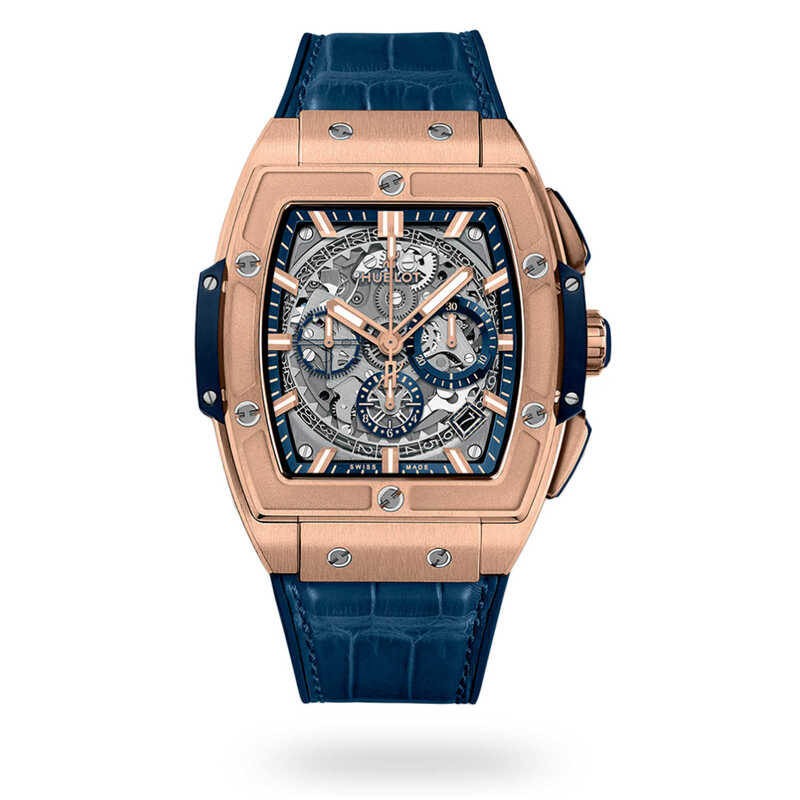 Bringing together luscious rose gold and rich blue tones, this Hublot Spirit of Big Bang King Gold Blue Watch showcases a truly charming sense of style. Set within a 42mm satin-finished polished 18ct rose Gold case, the striking sapphire dial plays host to three chronograph sub-dials and a date display. Powered by a precision-focussed HUB4700 self-winding skeleton chronograph movement, this high-performance timepiece is water resistant to 100 metres and offers a 50-hour power reserve. 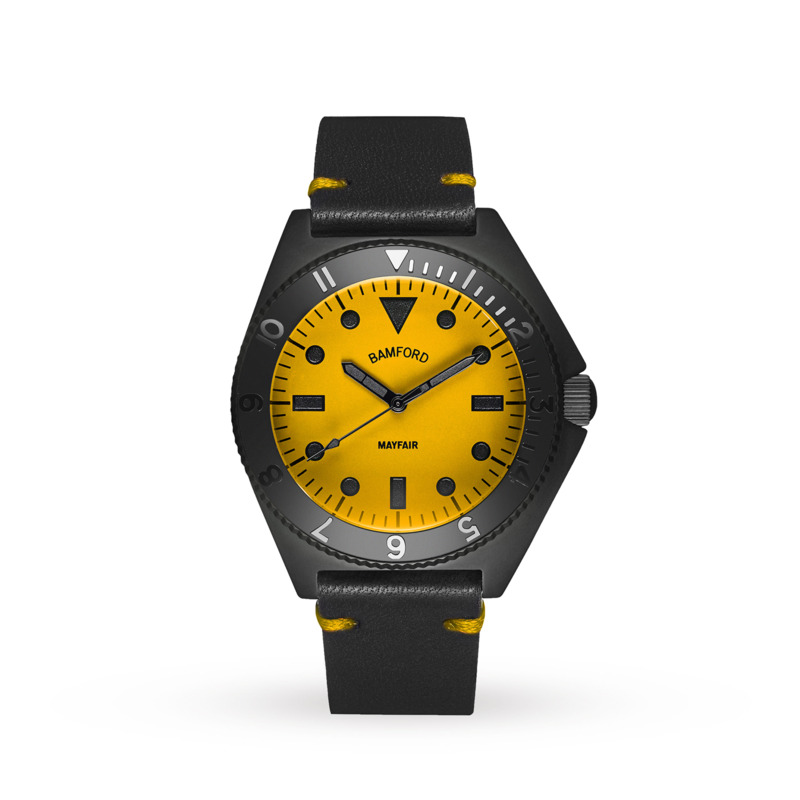 A blue rubber and alligator leather strap provides comfort and security on the wrist. Leading the way in the luxury watch market, Hublot is renowned for creating high-performance timepieces that explore new design opportunities. And the Hublot Spirit of Big Bang collection is no exception. Explore the full range of Hublot Watches.